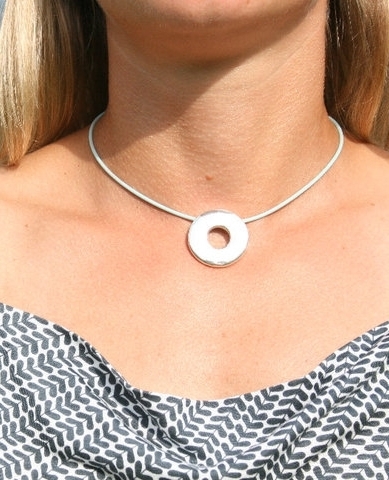 The Loop necklace is simple and stunning, crafted of solid sterling silver. The design originated when a part fell off of my tractor. Once I cast it in sterling, I knew I had a quintessential Vermont piece. The Loop comes with a sterling chain, but for a different look, can easily be exchanged for a chain you may already have in your jewelry box. Wear it to the rodeo or Rodeo Drive, either way, it's sophisticated and clean design will make it a staple in your collection.